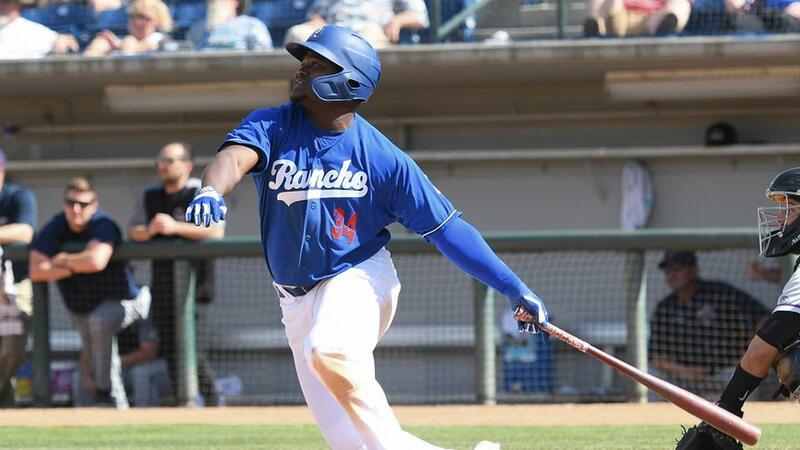 Rancho Cucamonga, CA - The Rancho Cucamonga Quakes' opening home stand of 2019 didn't produce the results that they were accustomed to in 2018, as the Lancaster JetHawks completed a four-game sweep with a come-from-behind 10-3 victory over the Quakes on Sunday afternoon at LoanMart Field. Trailing 3-2 in the seventh, the JetHawks busted it wide open, scoring six times to take the lead for good against Quakes' reliever Sven Schueller, then scoring two more to put it away in the ninth. Starling Heredia's two-run single in the sixth but the Quakes in front 3-2. That lead was short-lived though, as Schueller (1-1), who hadn't given up a run over his first four appearances, struggled on Sunday, allowing one in the sixth and then five in the sixth, as the JetHawks took an 8-3 lead at the end of the frame. A two-run homer by Ramon Marcelino in the ninth capped the scoring, giving Lancaster their first four-game sweep over Rancho since 2014. JetHawks' starter Matt Dennis (1-1) earned the win, allowing three runs on nine hits over six innings. The Quakes (5-6) head to Lake Elsinore on Monday, taking on the Storm in the opening game of a three-game set. Monday's match-up will feature Edwin Uceta (0-0) versus Storm starter Aaron Leasher (0-0) with first pitch scheduled for 6:00pm. The Quakes will return to LoanMart Field on Thursday, April 18th, taking on the San Jose Giants as part of a three-game home stand. Thursday is another Thirsty Thursday, thanks to the Kindred Corporation, with $2 Pepsi products, $3 domestic drafts and $4 premium drafts available throughout the night. Tickets are available by calling (909) 481-5000 or online at rcquakes.com. We hope to see you at LoanMart Field…Go Quakes!